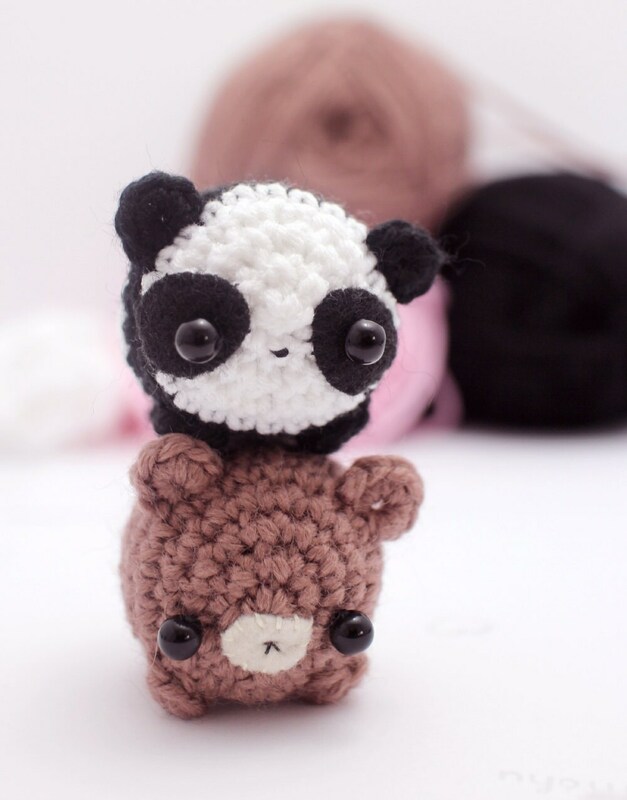 This downloadable pdf file contains a written crochet pattern, for making your own amigurumi pandas and bears. 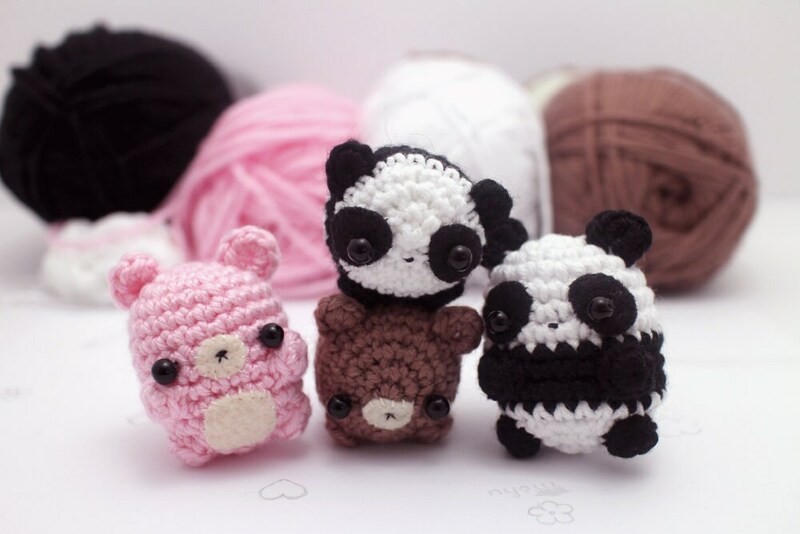 The pattern includes four variations: a standing panda, sitting panda, standing bear, and sitting bear. 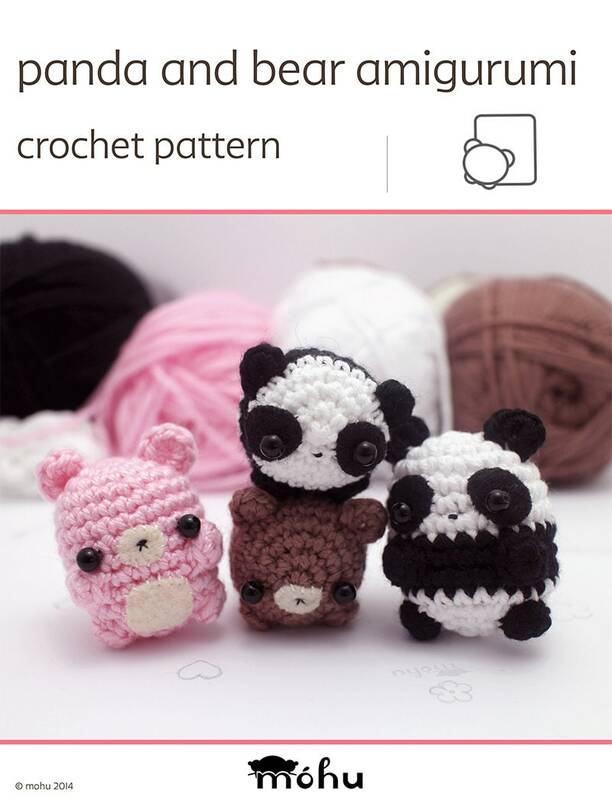 All four are made using the same basic crochet pattern. There are 9 photos, detailed assembly instructions, and printable templates for the felt details. The pattern uses single crochet in the round. These techniques are taught in the beginner's crochet guide, included in your purchase. US crochet terms are used. The pandas in the pictures are about 5 cm / 2" long, and 4 cm / 1.6" wide. 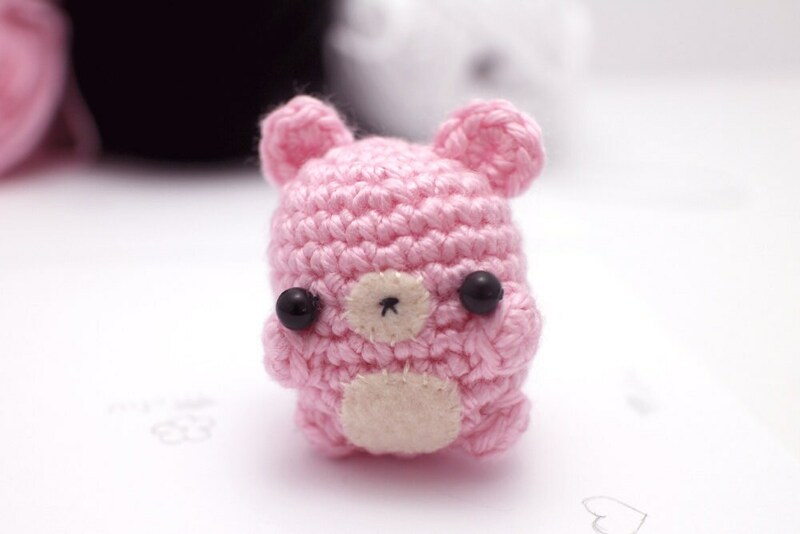 They are made with medium weight yarn and a 3.5mm crochet hook. The pattern will still work even if your gauge isn't exactly the same. If your panda is much bigger or smaller, you may need to resize the pattern template. 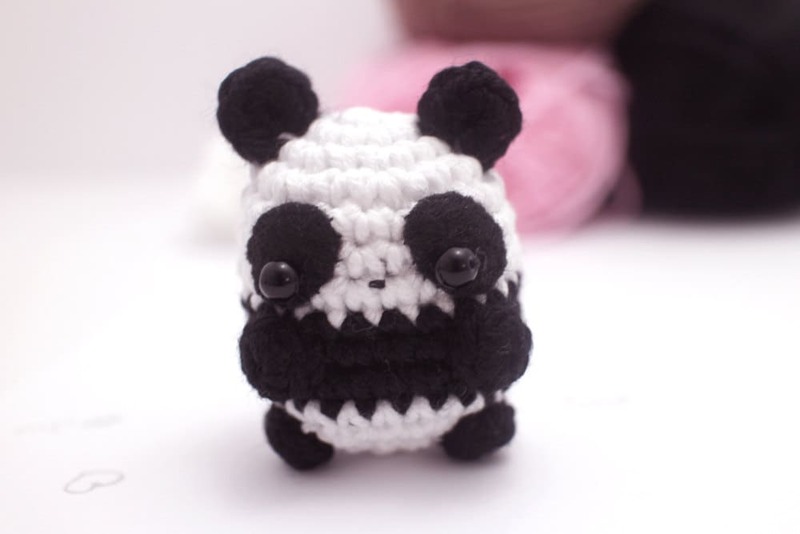 You will need black and white yarn for the panda, and any colour yarn for the bears. The pattern also requires some stuffing, a small amount of craft felt, sewing thread, and 6 mm black beads or safety eyes. After you purchase the pattern, you'll be able to download it directly from your Etsy account. You can also contact me at any time to ask for help. An email address is included in the file. Easy to follow pattern! I purchased this and the pug pattern to make for Christmas present, and they turned out adorable. Perfect little gifts! Cute pattern, painless transaction. Couldn't ask for better!